Here are some great new images, all in a large format to allow a closer look at the details. In addition to these, I've added a few more photos of the Michigan National Guard during the 1913 strike. Click here to go to this location. 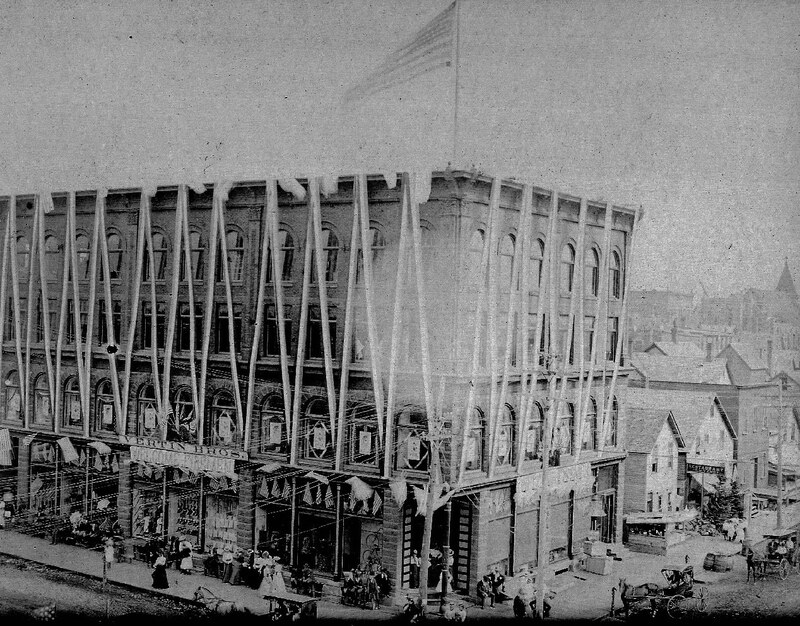 The first is a wonderful Isler image of Vertin Bros. store in Calumet, all decorated for the Fireman's tournament that year. I'm not sure when the upper 2 floors were added, but I'm guessing 1890s. Typical of Isler images of the period, he has taken a unique elevated view, plus you can see the circular lens flare in the center of the image. 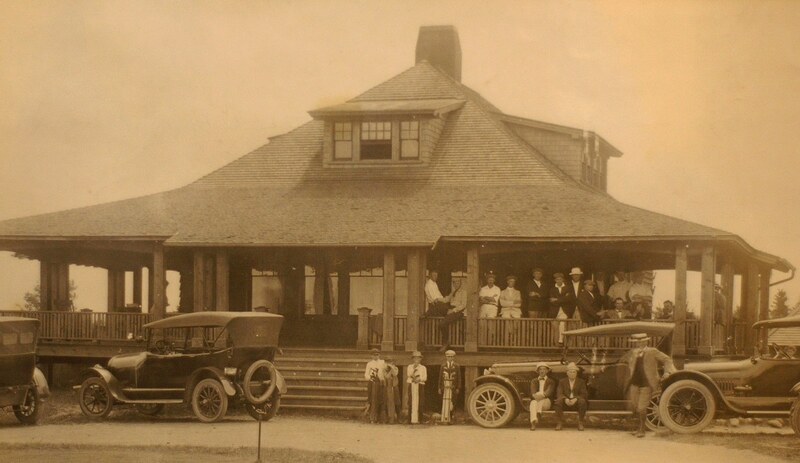 The next image is the Houghton golf course club house, now part of Michigan Tech University. From the license plates, I can see a date of 1918. 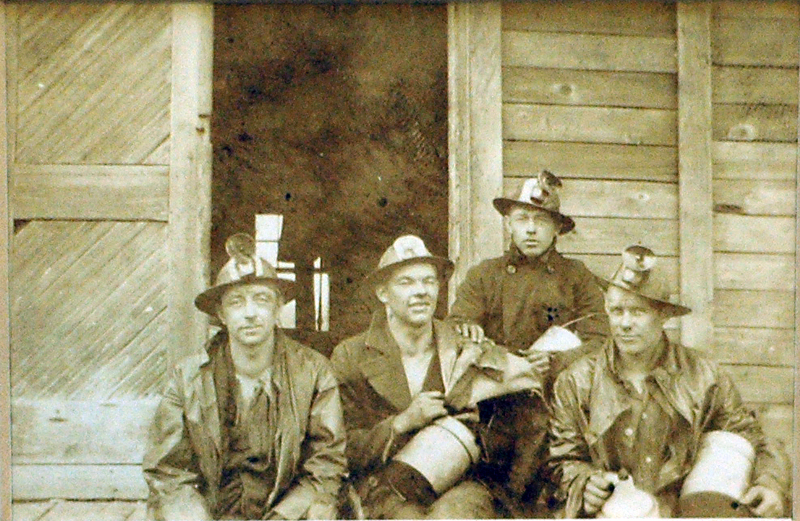 Here is a great image of a group of Calumet miners, probably from about 1915. Actual mine is unknown. Now this is a unique picture! 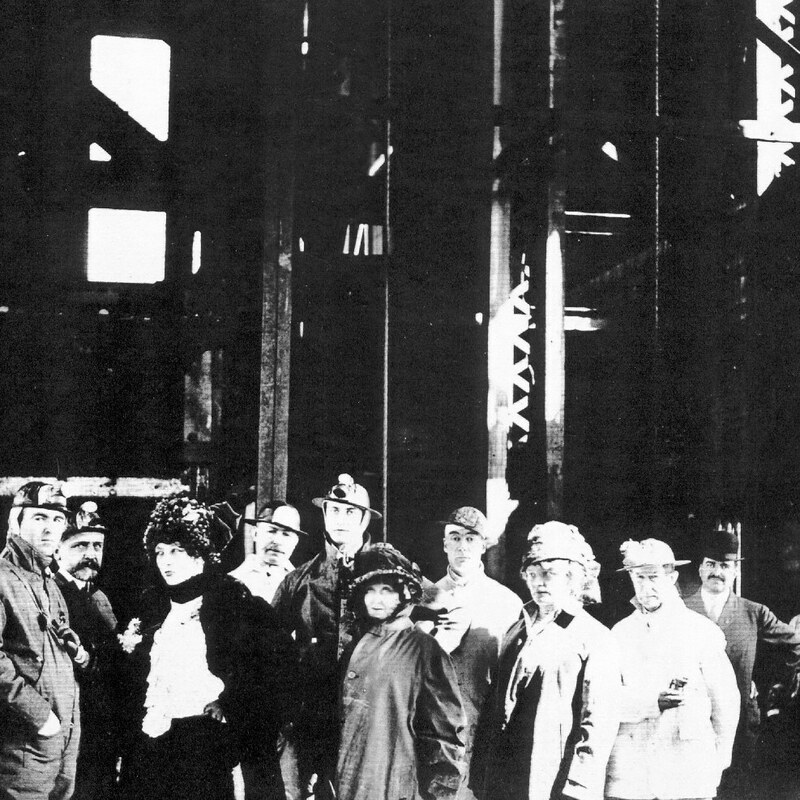 It shows the illustrious French actress Sarah Bernhardt (third from left) and company visiting the Quincy mine during her Copper Country tour in 1911. 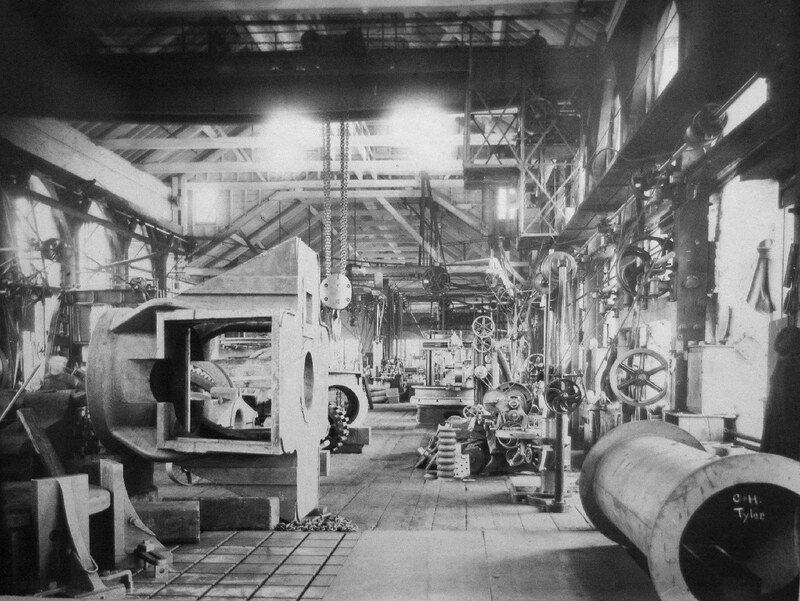 Last but not least for this update, a great Tyler photo showing the interior of the Calumet & Hecla's grand machine shop on Mine Street, probably around 1900.